Xiaomi is set to unveil the Xiaomi Mi 8 smartphone on May 31, and at the event the company is even going to unveil the Mi Band 3. 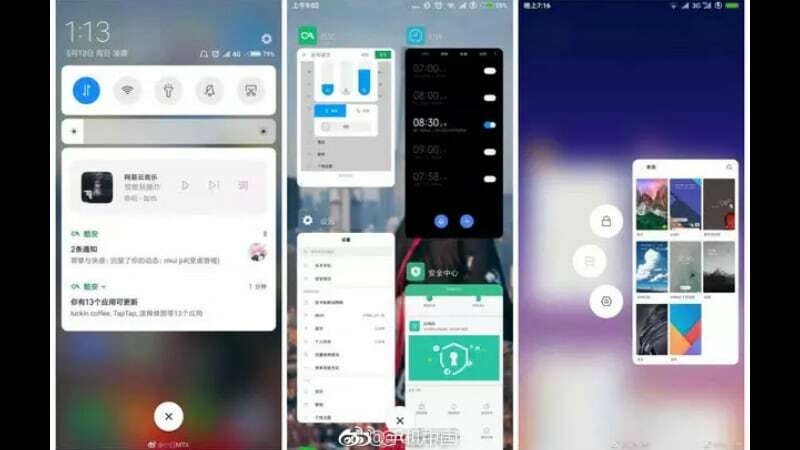 Alongside, the MIUI 10 reveal has also been confirmed, and ahead of that launch screenshots of the new UI have surface online. 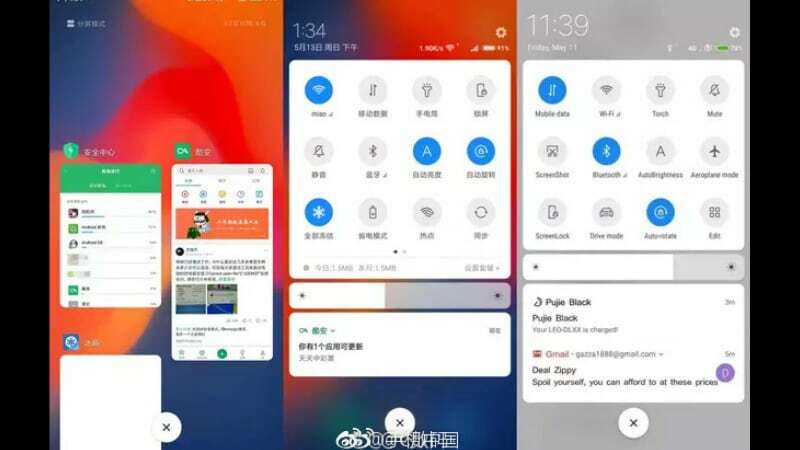 The leaked screenshots show quite a few changes with heavy inspirations taken from Android P.
The screenshots were posted by TechnoCodex, and the new design appears to come with a revamped UI and new features. There’s the addition of the floating window, a feature that was highlighted on Android P. There’s a new colour scheme and a new white and blue design language is seen overall, again, similar to Android P. There’s also a shortcut option, similar to what’s seen on Samsung phones, that allows a quick preview of most used apps. In the screenshot, a preview of the Gallery is seen with the most recent photos shown in the preview. The report states that MIUI 10 includes full touch gesture controls – something that will arrive on Android P as well – apart from faster performance. The volume control bar has also been shifted to the right edge, with an exclusive silent option below the adjustment bar. There also a customisation button, clicking on which gives you more options for media volume control. The control centre also has a new design, and the lock screen notifications and weather widget design have also been revamped. There’s no official word from Xiaomi on the MIUI 10 unveil but we expect it to be rolled out alongside the Mi 8 next week, with the Mi 8 running on it out-of-the-box. The leak also lists eligible devices that will get MIUI 10 eventually, and it includes Xiaomi Mi 6, Mi 5, Mi 5S, Mi 5S Plus, Mi 4, Mi 3, Mi 4S, Mi 4C, Mi Mix, Mi Mix 2, Redmi Y1/ Lite, Mi Note 2, Mi Note 3, Redmi Note 3/ Pro, Redmi Note 4/ 4X, Redmi 5A, Redmi Note 5A, Mi 5X, Mi Max, Mi Max 2, Redmi 4/4X, Redmi 4A, Redmi 3/ 3S/ Prime, Redmi Pro, Redmi 3X, Mi Pad 3, Redmi Note 5 Pro, Redmi S2, Mi 6X, and Mi Mix 2S smartphones. Apart from the new MIUI 10, the Xiaomi Mi 8 is expected to sport a notch display, vertical dual camera setup, facial recognition, under display fingerprint scanner, and more.